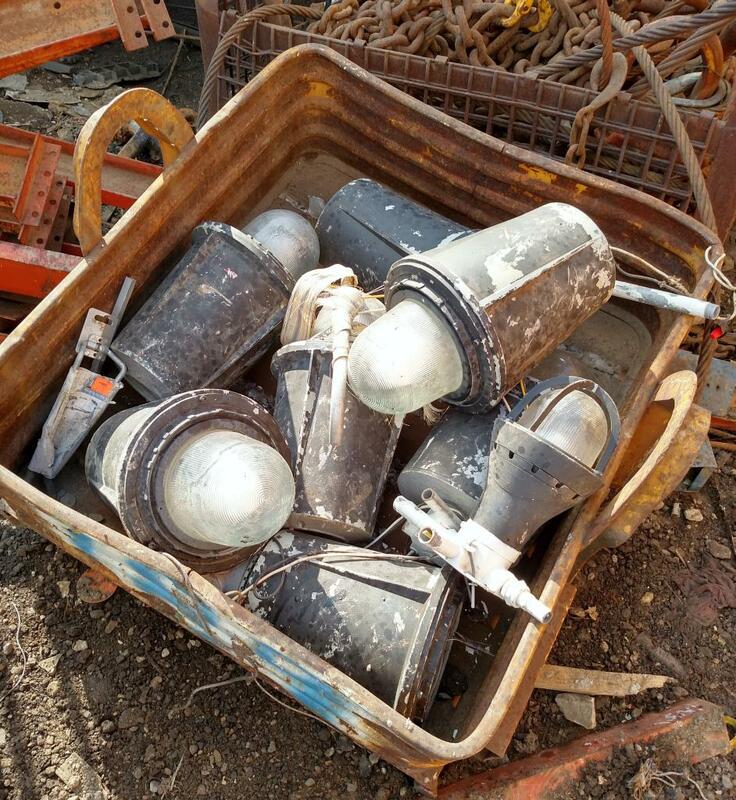 Yesterday some of us went on a little field trip to a couple local scrap yards. We met the people there and learned the ropes of how to do things right and not get hurt while digging for treasure in the piles of stuff they have laying around. Wear gloves, old clothes, safety glasses, and sturdy shoes! Stay away from moving cranes! 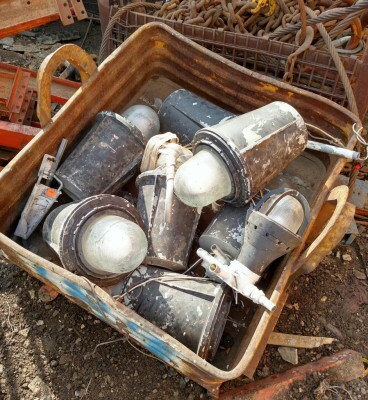 A pallet full of explosion proof lamps at the scrap yard. And here’s what can be done with about an hour to figure out how to get it apart to remove the mercury vapor lamp and ballast and clean it up a little. Another 10 minutes went into installing the hardware, wiring, and a 6W LED bulb. I wouldn’t call it finished yet- the base is crying out for installation of pipes to act as feet, a little more cleanup, and maybe a dimmer switch. Total invested: $18 to get the fixture from the scrap yard, and another $12 for the hardware and LED bulb. 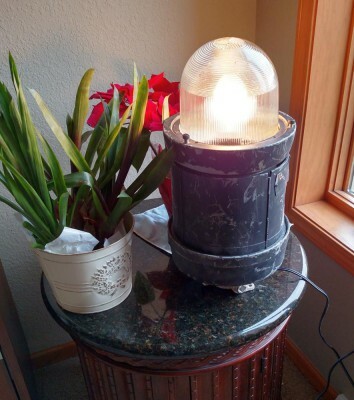 Explosion proof industrial lamp turned into table lamp.